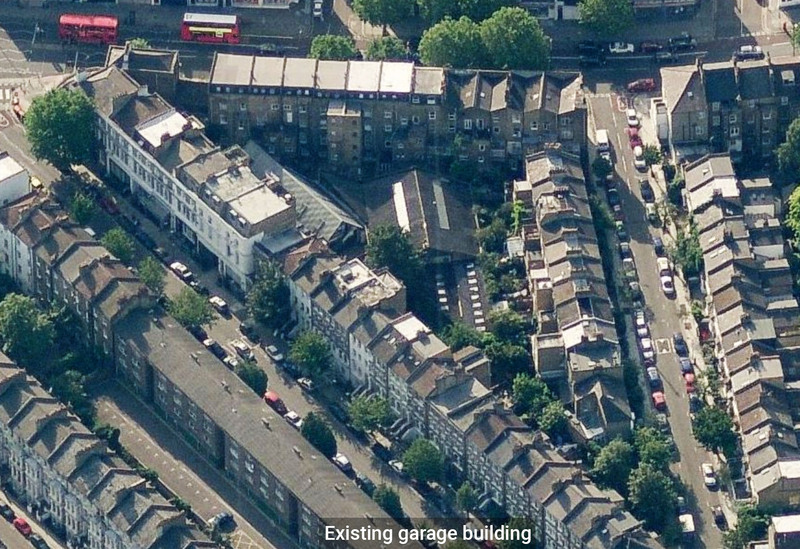 Located on a fully enclosed, back-land plot, overlooked from all aspects and entered via a narrow access road from Netherwood Road, which runs beneath the undercroft of a residential unit, Netherwood Place offered a significant architectural challenge. 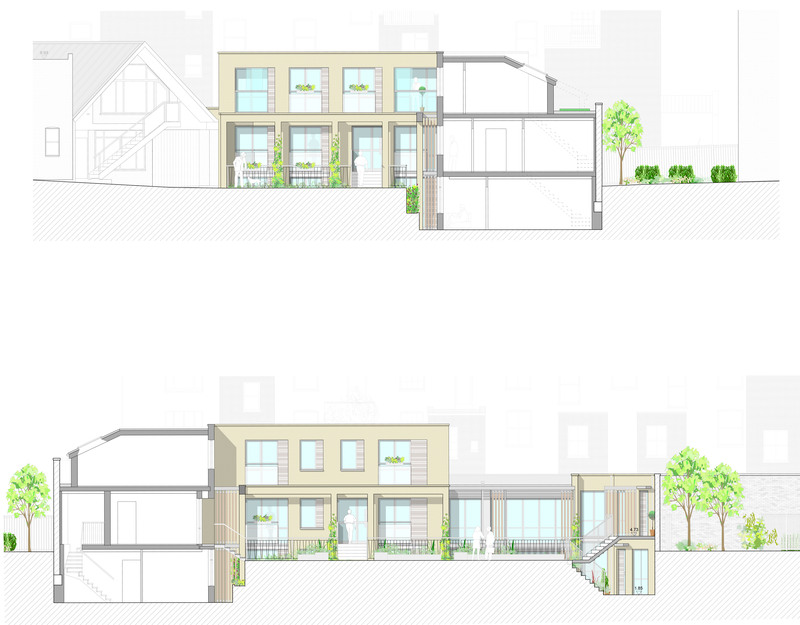 Developing the brief for a Private Client, the proposal sought the removal of the roof and supporting structure from the garage building that occupies 95% of the site, but with the retention of the boundary walls. These continue in their current use and create a walled courtyard to the new development, providing 9no. 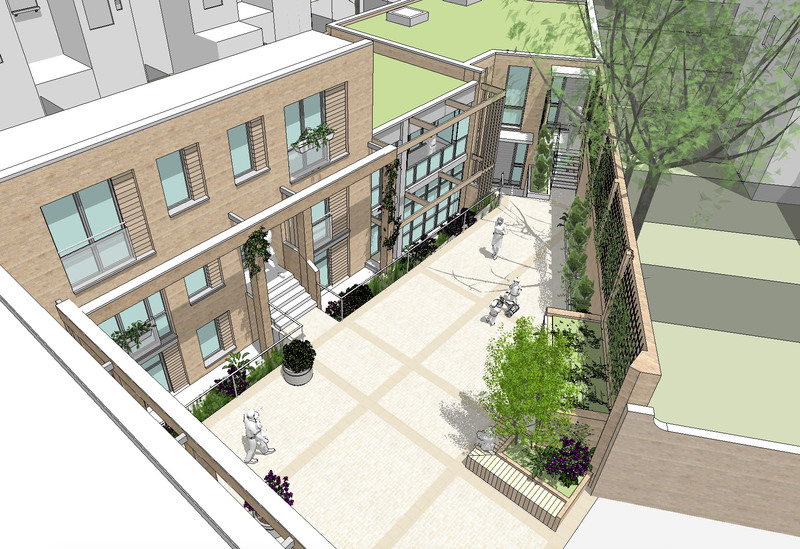 flats and maisonettes within a mews style development. Utilising a single brick type, the courtyard façades explore a layered aesthetic, setting the main façade back from the primary building line, which comprises of an open brickwork frame. Balconies are recessed, accentuating articulation, whilst screens and railings integrated into the brickwork frame emphasis layering. These shifts in surface increase the visual depth of the central area, relieving any sense of enclosure. 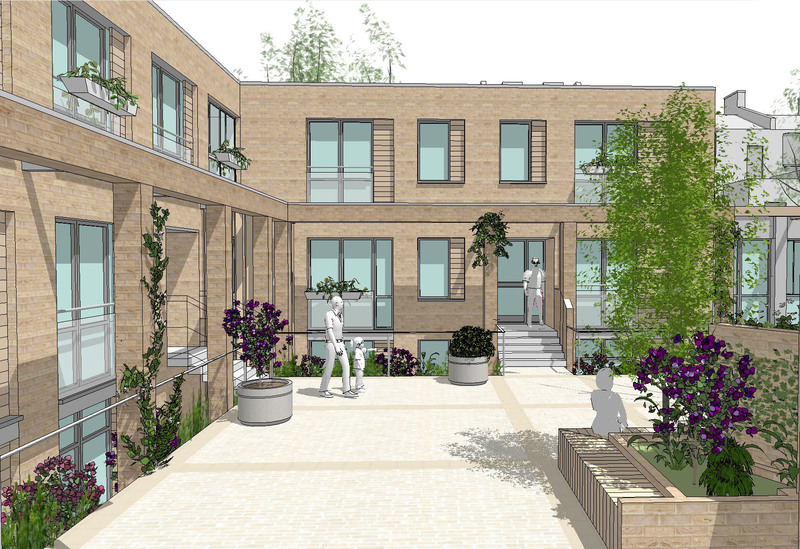 The proposal will open up the site, arranging the new units around a central courtyard and setting the new form within the existing mass of the building. 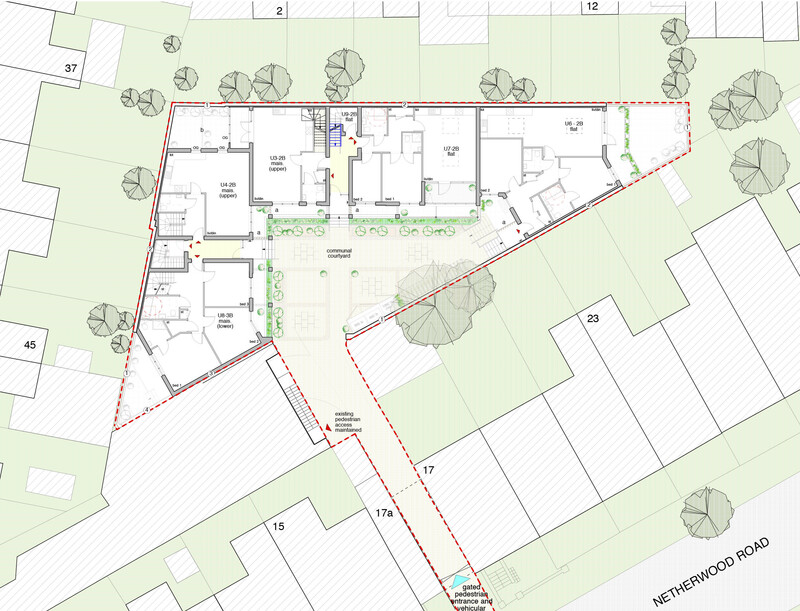 This approach respects the outlook, privacy, natural lighting and over shadowing of neighbouring properties, whilst the removal of the extensive roof significantly improves the site as a visual amenity.